Since the Cold War, Americans and Russians have together cultivated fascination with the workings and failures of communicative channels. Each accuses the other of media jamming and propaganda, and each proclaims its own communication practices better for expression and creativity. Technologies for Intuition theorizes phaticity—the processes by which people make, check, discern, or describe channels and contacts, judging them weak or strong, blocked or open. 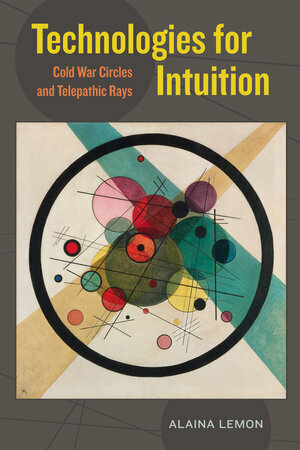 This historical ethnography of intuition juxtaposes telepathy experiments and theatrical empathy drills, passing through settings where media and performance professionals encounter neophytes, where locals open channels with foreigners, and where skeptics of contact debate naifs. Tacking across geopolitical borders, the book demonstrates how contact and channel shift in significance over time, through events and political relations, in social conflict, and in conversation. The author suggests that Cold War preoccupations and strategies have marked theoretical models of communication and mediation, even while infusing everyday, practical technologies for intuition. Alaina Lemon is Professor in the Department of Anthropology at the University of Michigan. Her first book, Between Two Fires: Gypsy Performance and Romani Memory from Pushkin to Post-Socialism, received the Wayne S. Vucinich and Heldt book prizes. 1 Do We Have Contact?